The Avatar B212 features two AMERICAN made Eminence Delta LF 12 inch bass speakers and an Foster horn tweeeter. 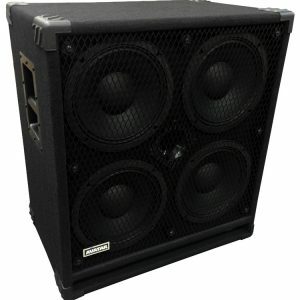 These Eminence Delta 12 LF’s have large 56 oz magnets for greater efficiency. Also available are custom designed Eminence Deltalite2 Neo 12s that have an extended cone travel (Xmax) for improved low end. This B212 has tons of deep lows perfect for 5 or 6 string bass guitars. This cabinet is also now available with a 6″ Eminence Sealed back mid with a 2.5K crossover instead of the Foster horn tweeter. 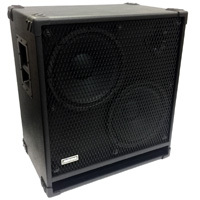 This B212 is available with two lightweight custom Eminence Deltalite2 2512NEO magnet speakers for a $50 upcharge. Dimensions 27H x 24.5W x 16.5D. Weight with Delta 12 LFs 79 lbs, weight with NEO 12s 56 lbs Limited one year warranty. Choose 4 or 8 ohm cabinet.